Dr. Joyce Harman, a graduate of the Virginia-Maryland Regional College of Veterinary Medicine, has appeared as a guest speaker on the topic of saddle fitting at numerous equine expositions in the USA, England, and Germany. Dr. Harman owns and operates Harmany Equine Clinic, a holistic veterinary practice, in Washington, Virginia. I have spent years being intimidated by saddle fit issues and came dangerously close to buying saddles that just won’t work for my horse. After watching this video several times I have so much more knowledge and feel armed with the right tools to make a solid decision when evaluating saddles and saddle pads. 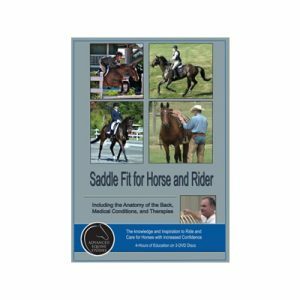 The information was well presented, the variety of saddles helped as well as the variety of horses used to demonstrate fit issues. 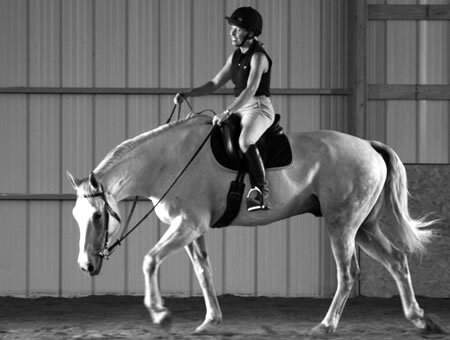 I especially liked the hands on explanations of horse anatomy and performance under different saddle fits. 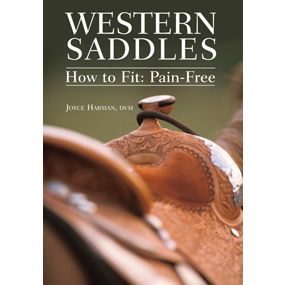 A MUST read for anyone putting a western saddle on a horse. Well worth the cost to insure the horses well being and comfort. 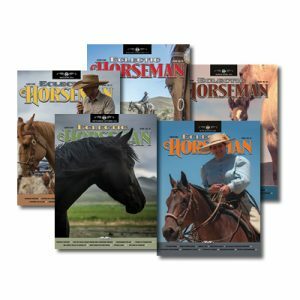 This is an easy to understand book with excellent images and descriptions, clear explanations and diagrams along with photos of horses with and without tack on. 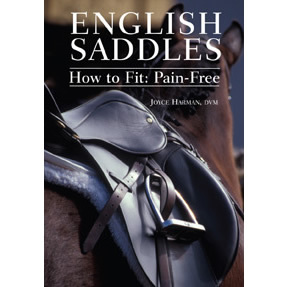 This book is written by the world renowned expert on saddle fit. 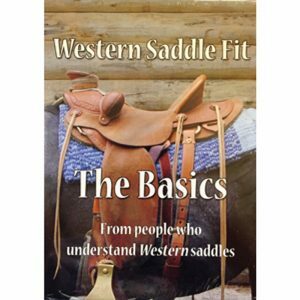 You will learn how to tell if your saddle fits, and how to improve saddles that almost fit.